Older readers (like me) might remember Mark Raphael Baker’s critically acclaimed, deeply moving family memoir, The Fiftieth Gate, about the experiences of his Holocaust survivor parents. 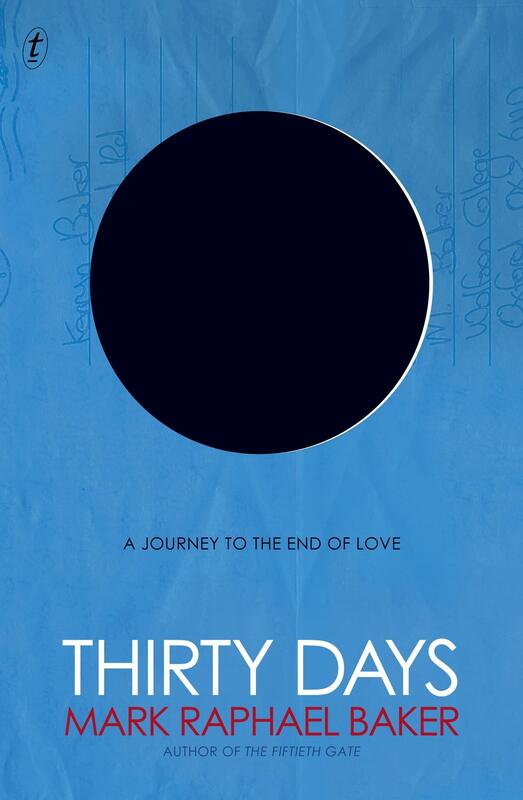 His second book, Thirty Days, is similarly infused with Jewish history and custom: as it’s lived now, in bayside Melbourne, irrevocably informed by what’s come before. But this is another kind of family memoir: both a love letter to and a complex portrait of his late wife of over 30 years, Kerryn, and their marriage. Their intimacy is captured in many shades and scenes, but perhaps the most vivid, for me, is pre-cancer-diagnosis, when Mark wakes to Kerryn seemingly having a nightmare: he listens ‘to catch any words that might help us to interpret it the next morning’. How do you cope with losing a life partner whose life is so entwined with yours that even dreams are a shared responsibility? During his traditional 30 days of mourning, Baker intricately reflects on their life together, continuing a process of self-interrogation that began with his wife’s diagnosis. ‘Everyone says time will heal, but time is also my enemy,’ he writes. ‘What if I forget the timbre of her voice? Her laughter?’ Did he see his wife clearly while she was alive? Did he take care to remember shared milestones, or even the narrative of their relationship? Was he present enough? Ever the historian, he searches through papers and pores over photographs for primary evidence, which he examines alongside the well-worn family narratives he’d built and believed. The discrepancies he finds (such as the truth of who pursued whom), along with some end-of-life revelations from Kerryn, bring their shared story into new relief, but never change its essential truth: that they loved each other and were loved. A beautiful memoir, not just about one marriage, but the nature of marriage itself.